How does a pool full of floating Rubber Duckies make wishes come true? Duckies and wishes come together each year at the Rubber Ducky Derby. 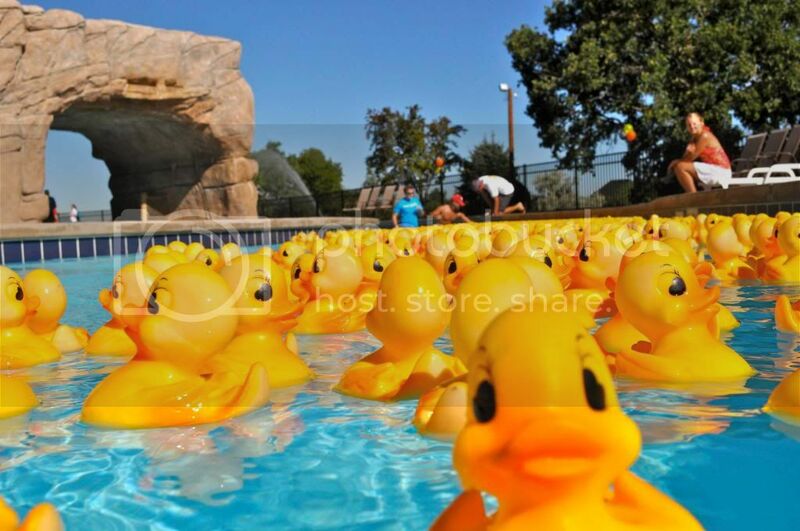 The Derby begins with sponsored duckies racing in heats around the lazy river. The winning duckies will race in a final heat for the grand prizes. This year marks the 25th anniversary of the Rubber Ducky Derby fundraiser, and has helped kids with granting more than 2,800 wishes. "Our Rubber Ducky Derby is always an exciting, wonderful experience that our wish kids, their families, and the community love," said Shar Lewis, Make-A-Wish Utah&apos;s CEO. "This year&apos;s 25th anniversary of the Derby is bigger than ever, and we are thrilled to have the opportunity to share our mission, and encourage the community to help us make wishes come true." Ducky sponsors start at $10, and participants must be 18 years or older to win a grand prize. You can sponsor a duck by going to the Make-A-Wish Utah website. Grand prizes include a 2-year lease on a 2013 Hyundai Santa Fe SUV courtesy of Murdock Auto Group, and a Hawaiian Waikiki Getaway for four - airfare included - courtesy of Sheraton Waikiki, Make-A-Wish Hawaii, and Flyer Smiles. Other prizes will be awarded for runners-up. Local radio station 101.5 The Eagle will also be auctioning off a ducky autographed by Taylor Swift. More than 850 wish family members will also be there that day to enjoy the waterpark and share their stories and triumphs with other families facing similar challenges. This will be a fun day for families of all ages, and is an event that is looked forward to every year. Superheroes, comic book characters, and mascots from various Utah sports teams will also join in the fun. Make-A-Wish Utah grants the wishes of children facing life-threatening medical conditions to enrich the human experience with hope, strength, and joy. At any given time, Make-A-Wish Utah has 100 children waiting to have their wishes granted, and receive 15 new wish referrals every month. More information about Make-A-Wish Utah and the Rubber Ducky Derby can be found on the Make-A-Wish Utah website. You can also call (801) 262-WISH.